Manage your CNC programs, machine parameters, & offsets with one network using DNC Software. 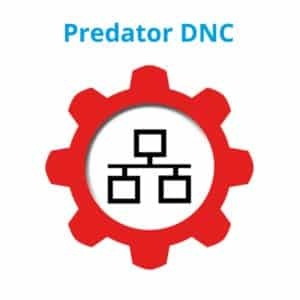 Boasts a wide range of CNC communication options from your Predator PCs for your DNC machines. Drip-feeding, downloading, & bi-directional communication. Upload via parallel, RS232, RS422 Ethernet, & wireless Ethernet for thousands of CNC machines. The Microsoft Office & Windows Explorer-compatible user interface (Windows 10 O/S supported) uses familiar features to simplify CNC to PC file transfer. Drag & drop, cut, copy, paste. Shortcut menus, object-based menus. Toolbars, tooltips & available online help. Trust us – this is the CNC software you’ve been looking for. DNC is also great for Robots, PLCs, part makers, moldmaking shop floors, & fab shop automation. Improve CNC revision control while using existing ERP & MES bar-coded paperwork. Eliminate time wasted on CNC communication failures. No longer walk back & forth between your CNC & PC. Consider a 32-Bit, Multi-thread, Multi-tasking, Open-Architecture solution that works as a wired & wireless DNC CNC software solution. Manage machine files, do remote requests, and transfer files. 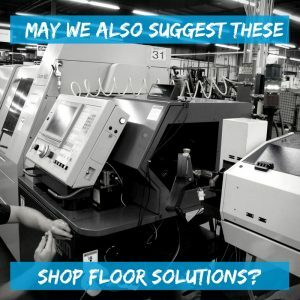 Works on any machine – not just serial based! Drip-feed large programs, group by building/cell, or obtain RS232 CNC software for your shop floor. Effective manufacturing leadership and productivity. Sign up for a DNC Software webinar, or contact us for information about DNC ROI. 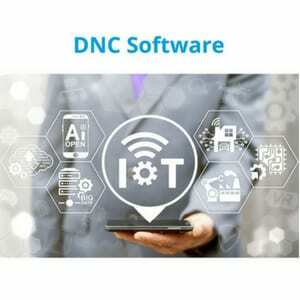 We can help with DNC software implementation! We recommend that you integrate machine monitoring with DNC for optimal productivity. CNC Editor – Our G-code editor through Predator Software will further help ensure reliable CNC communication. Unlimited file size and file compare. Great combination with CAD/CAM software. CNC Editor solutions. PDM Document Control – Paperless manufacturing control. PDM info.